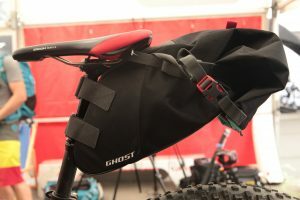 Ghost has debuted a new line of bikepacking gear alongside its MY17 prototypes this week in Austria. 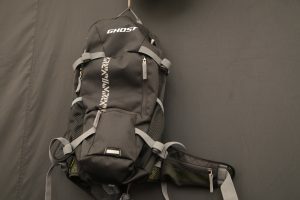 Starting with the new luggage, Ghost has gone full waterproof, with each item carrying an inner membrane that we were told is as good as air sealed. 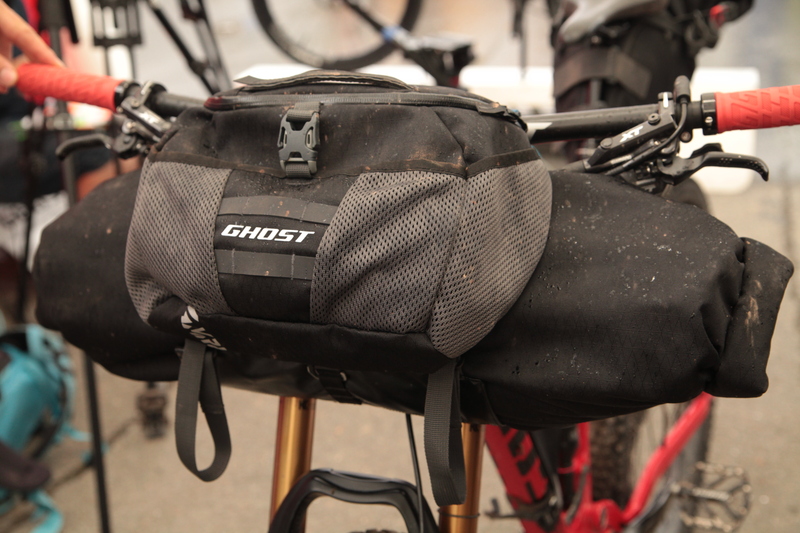 Having benefited from the experience of a textile engineer with a backpacking background, Ghost has been testing the gear for some time now, with the engineer cycling from last year’s Eurobike over the Alps to UniBike in Madrid using the prototypes. 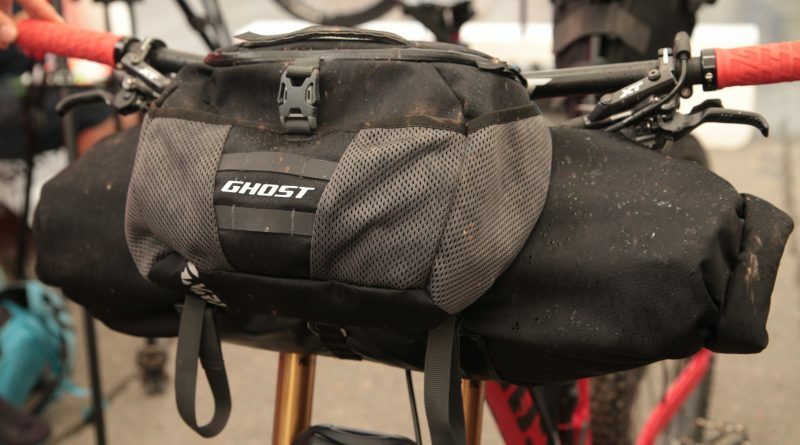 Two frame bags – one a hardtail-suited and the other a full suspension pack – feature, alongside a seatpack and some large volume handlebar luggage. 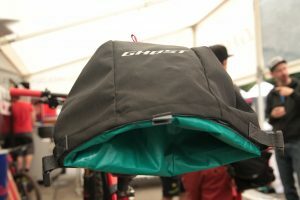 A backpack also benefits from the designers experience. 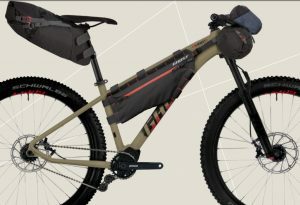 On to bikes and the Roket X (pictured here) joins the catalogue as a backcountry suited hardtail capable of housing plus size tyres if desired. 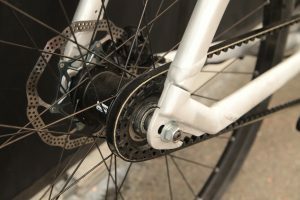 Built around a reliable Pinion drive, the platform offers a respectable 130mm of travel and compatibility with 1×11 or 2×11 drivetrains. 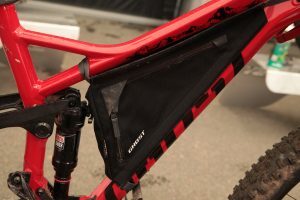 Three builds based around the Roket frame are to be available with just the top spec X offering the Pinion system. 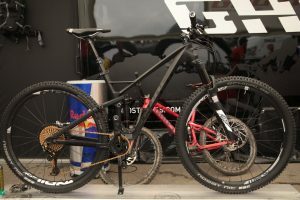 Throughout the mountain bike line the Boost standard now features and the firm told us that it is leaning toward coil shocks on full-sus builds, favouring what they say is a more linear characteristic. Kids are treated to a performance racing hardtail in the Lector. 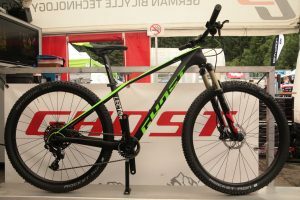 Rolling on 26-inch wheels, the build is best suited to ages ten plus. 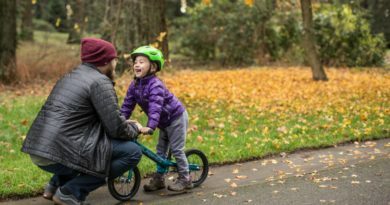 At €1,300 and with a carbon frame benefiting from much of the same tech of the adult’s Asket, as well as similar design cleanliness, kids are treated to a race-ready build tailored at contact points to smaller measurements. 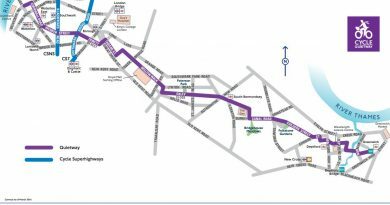 Commuters too benefit from renewed investment from the German firm who introduced a belt-driven prototype in Kirchberg. 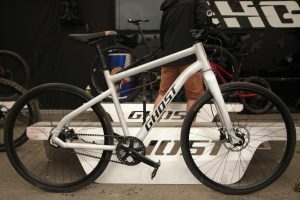 “They told us it would be difficult to succeed in the commuter space, I think bikes like this will prove our competition wrong,” said Ghost’s Maxi Dickerhoff. With a design brief of minimalist, the Square urban bikes hide a lot of the engineering away to provide a clean hidden cable aesthetic. 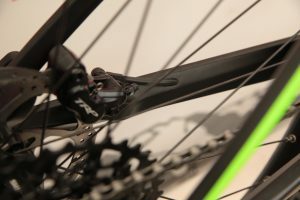 The prototype pictured here is set to retail at a very reasonable €899 and offers an automatic two-speed drive. 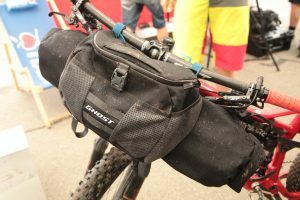 By Eurobike Ghost expects to have a line of electric mountain bikes, though prototypes didn’t quite make the cut for Austria. 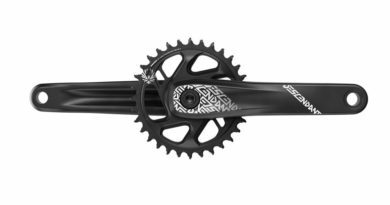 The below Hamr, available in as a carbon 1x or alloy 2x build, keeps the exploration theme in mind, again offering plus size compatibility. 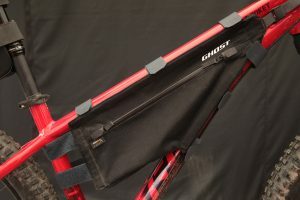 With a flippable linkage, riders can run the Hamr builds at between 130 to 160mm of travel and riders on Ghost’s books have even pushed that to 180mm with few issues.